Are you tired of unwanted hair? Are you tired of shaving, plucking, or waxing? Laser hair removal is designed for the permanent reduction of unwanted facial and body hair effectively and safely. Laser hair removal works on the principle of selective Photothermolysis. The Laser light destroy the primary target (hair follicle) by exposing it to sufficient heat, while avoiding injury to the surrounding skin. Melanin is considered the primary chromophore for laser hair removal. Melanin occurs naturally in the skin, and is responsible for determining skin and hair color. Both men and women seek laser hair removal to remove unwanted hair. The laser designed for hair removal can be used on most parts of the body. Laser Hair removal is commonly done on face, lip, chin, neck, chest, arms, underarm, pubic area, legs, abdomen, back, buttocks, thighs, and toes. 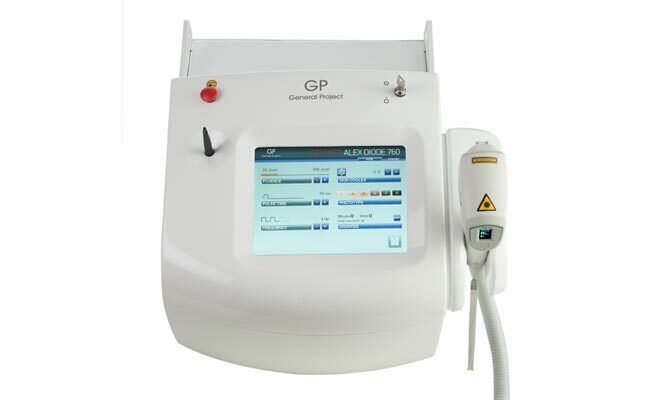 GP FAST Diode Laser Portable GP Fast Diode Laser is now available in its brand new portable version!